Whether it will be a thermonuclear blast in LA (or more likely, Pyongyang because Trump, you know…) or the steadily increasing removal by fire of the great North American forests, it seems like fire will be the end of the West Coast. Texas and Florida, not to mention the millions in Central America and the Caribbean, will drown while we will burn. 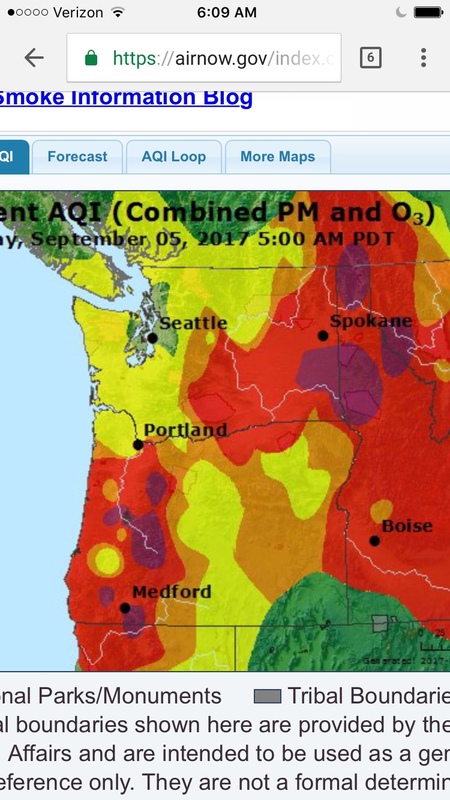 When I served on the Oregon Governor’s Commission on Global Warming we heard testimony from scientists about the potential changes to Oregon under varying scenarios of carbon emission. Unable to really understand what it meant for Oregon to be hotter and drier in the future, I asked Dr. Phil Mote of the Oregon State University what it meant, as in, give me a real world analog. Well, he replied, our climate would be like Bakersfield, California. Average temperature: 65 º; rainfall, about 7 inches. At the southern end of the great Central Valley. Then I asked, what would happen to the immense forests of the Northwest, that depend on the rain, up to 10 feet a year in the coastal rainforest. Well, they would burn, of course, Dr. Mote replied. And, boy, are they burning. 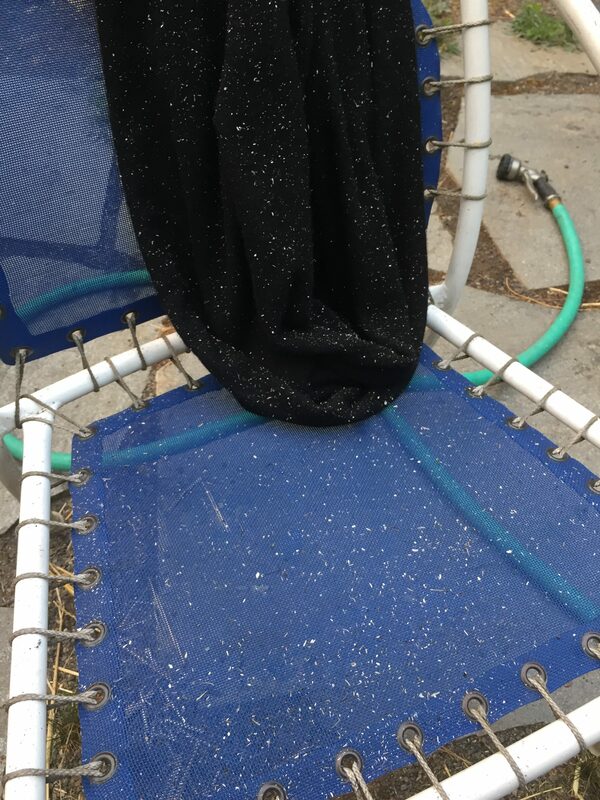 Here is a picture of my backyard, in Portland, where ash fell last night like snow. 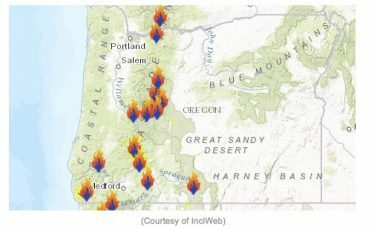 From a fire 40 miles to the east of us in the Columbia River Gorge. Cycle Oregon, the iconic week long ride around rural Oregon, cancelled for the first time in 30 years due to fires all along its route through the Cascades. Think 150 foot tall Douglas Firs, Ponderosa Pine, Noble Fir…all burning. 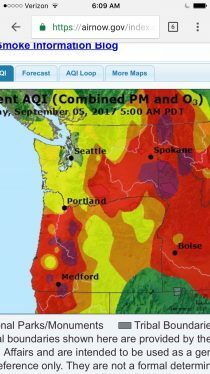 Think hundreds of jobs lost, streams choked with ash, children with asthma, the Willamette Valley becoming the Central Valley. And what about Bakersfield? With a climate like the Sonoran Desert, where will our food come from? Time to concentrate on the real threats, Mr Trump.